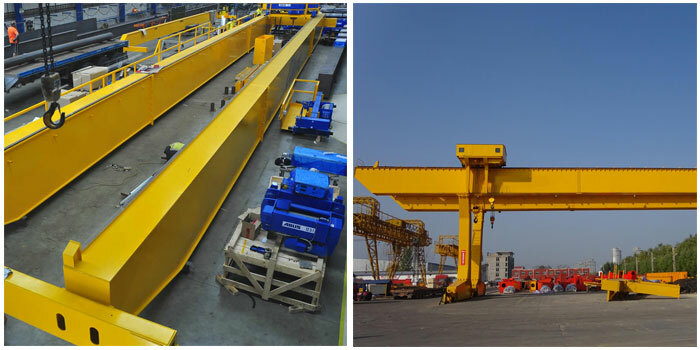 Gantry crane is widely applied in many fields and sectors to help improve efficiency and productivity. 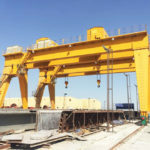 However, each year many gantry crane accidents occur because of human errors or components malfunctions, which can lead to serious injury and even death. Therefore, the crane users and operators should raise awareness of safety hazards in the material handling so as to ensure a safe operation. A proper operation can not only ensure the security of workers, but prolong the working life of the equipment. The safety devices are essential components to avoid accidents. There are many types of protection devices for you to choose from, including overload limiter, lifting height limiter, interlock protection device, buffer, windproof and anti-slip device, anti-swaying device, rain cover and anti-collision device. Some safety devices are optional according to your practical applications. 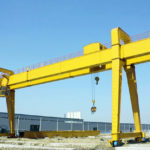 For instance, many gantry cranes for outdoor uses are suggested to be equipped with wind resistance device and rain cover in order to protect the equipment. The anti-collision device should be equipped when two or more cranes or hoist trolleys run on the same track. In the daily work, the safety devices should be inspected and maintained regularly to make sure they are in good working conditions. In the event of component failure, it should be repaired or replaced immediately. 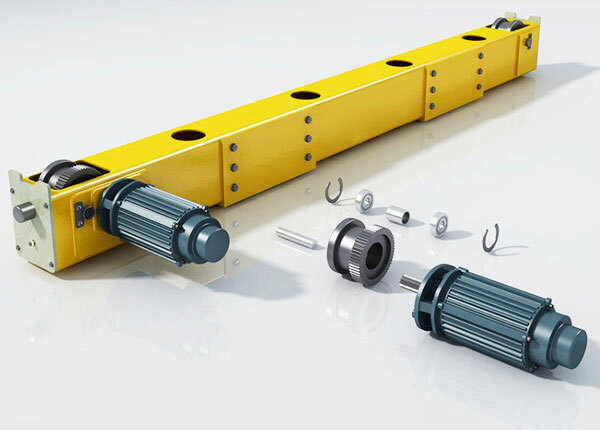 Gantry lifting equipment is usually operated by means of wireless remote control and cabin operation, which can greatly ensure the safety of operators. 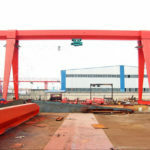 However, most gantry crane accidents still occur due to human errors, thus the crane users should improve safety awareness as well as follow safe operation regulations. Before operating a crane, the operators should be rigorously trained on the crane knowledge and have the competence to take the job. Especially, cabin drivers should acquire related qualifications. 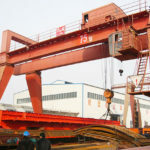 Besides, they should be fully prepared for the crane they are going to handle, such as the crane weight, the type of load, the lifting speed and some other basic information. 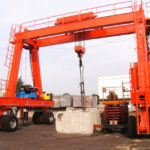 A full preparation can help you operate the crane safely. During operation, the operators should wear protective clothing and devices such as long sleeve shirt, safety glasses and helmet. They should strictly comply with operation rules and regulations. Any lax or carelessness should be avoided. In addition, do not make any blind judgment or assumption in the operation. 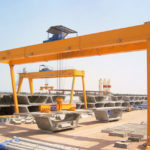 The crane operators should check the equipment and some crucial components daily before use, such as the hoist, limit switches and wire rope to make sure they are in proper working conditions. Any deformation and damage should be repaired timely. Check the working environment before operation to make sure there are no potential dangers which may affect the safe operation of the equipment. The crane travel path should remain clear at all times, and in no circumstance should loads be suspended above workers. Never use the wire rope as a sling to pull loads and other objects. Make sure the loads are properly rigged and do not overload. The lifting movement should be stable and smooth. Any rapid movement should be avoided. A preventive maintenance should also be conducted to make sure the safe use of the equipment. 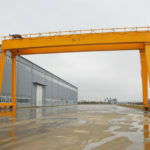 For some harsh environmental conditions such as thunderstorms and strong winds, the operations should be stopped in order to protect the crane. A safe use of gantry crane can not only ensure personnel safety, but maintain a normal production as well as promote efficiency. 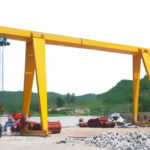 Therefore, whether it is a crane manufacturer or crane operator, they should attach great importance to gantry crane safety.